We conducted a systematic literature review of smoking cessation interventions for patients with histories of depressive disorders or current significant depressive symptoms. 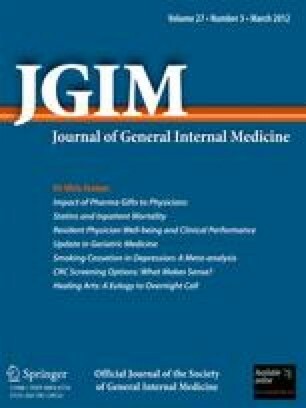 We examined the comparative effectiveness of smoking cessation strategies on abstinence rates, differential effects of cessation strategies by depression status (i.e., history positive vs. current depression), and differential effects by gender. Peer-reviewed literature in MEDLINE, Embase, PsycINFO, and Cochrane Library. Randomized controlled trials or secondary analysis of RCT data comparing two or more smoking cessation interventions or intervention to control, and reporting cessation outcomes in adults with depression. Two trained researchers screened articles for inclusion. When possible, we estimated pooled risk ratios with 95% confidence intervals by using a random effects model with the Mantel–Haenszel method. We synthesized other studies qualitatively. We classified each intervention as antidepressants, nicotine replacement therapy (NRT), brief smoking cessation counseling, smoking cessation behavioral counseling, or behavioral mood management. We identified 16 unique RCTs, of which, only three trials recruited participants with current depression. Meta-analysis demonstrated a small, positive effect of adding behavioral mood management (RR = 1.41, 95% CI 1.01–1.96). All included antidepressant trials showed small, positive effects, but risk ratio summary was not significant (RR = 1.31, 95% CI 0.73–2.34). Three NRT trials demonstrated small, positive effects on smoking cessation rates. We found insufficient evidence to examine gender and depression status moderator effects. Few RCTs exist that test smoking cessation interventions among adults with depression. To make meaningful comparisons, we created broad intervention categories that contained heterogeneity. Few trials enrolled smokers with current depression. Most of data identified were from subgroup analyses of patients history-positive for depression. However, several promising interventions exist. Healthcare providers should consider encouraging their patients with significant depressive symptoms or depression histories to seek smoking cessation services that include NRT and behavioral mood management. We would like to thank Liz Wing for her expert editing skills and Megan Von Isenburg for her assistance in optimizing literature search strategies. We would like to thank the expert panel and reviewers of the original evidence synthesis report; their comments significantly improved this research. This study was funded with support from the Department of Veterans Affairs, Veterans Health Administration, Office of Research and Development Evidence-based Synthesis Project [Project Number: ESP 09–010]. At the time of these analyses, Dr. Gierisch was funded by an AHRQ NRSA postdoctoral traineeship at Duke University Medical Center [Grant No. T-32-HS000079]. The views expressed in this article are those of the authors and do not necessarily reflect the position or policy of the Department of Veterans Affairs or the United States government. Agency for Healthcare Research and Quality. Methods Guide for Effectiveness and Comparative Effectiveness Reviews. Rockville, MD: Agency for Healthcare Research and Quality. Available at: http://www.effectivehealthcare.ahrq.gov/index.cfm/search-for-guides-reviews-and-reports/?pageaction=displayproduct&productid=318. Accessed September 27, 2011. Fiore MC, Jaén CR, Baker TB, et al. Treating Tobacco Use and Dependence: 2008 Update. Quick Reference Guide for Clinicians. Rockville, MD: US Department of Health and Human Services. Public Health Service. April 2009. Available at: http://www.ahrq.gov/clinic/tobacco/tobaqrg.pdf. Accessed September 27, 2011.